Support for PostgreSQL in Azure Data Studio is now available in preview. Azure Data Studio is a cross-platform modern editor focused on data development. It's available for Linux, MacOS, and Windows. We're also introducing a corresponding preview PostgreSQL extension in Visual Studio Code (VS Code). Both Azure Data Studio and Visual Studio Code are open source and extensible - two things that PostgreSQL itself is based on. If your primary use case is data, choose Azure Data Studio to manage multiple database connections, explore database object hierarchy, set up dashboards, and more. Announcing Azure Container Registry (ACR) now supports limiting public endpoint access. Customers can now limit registry access within an Azure Virtual Network (VNet), as well as whitelist IP addresses and ranges for on-premises services. VNet and Firewall rules are now supported with virtual machines (VM) and Azure Kubernetes Services (AKS). VNet and Firewall rules are available for public preview in all 25 public cloud regions. General availability (GA) will be based on a curve of usage and feedback. Now generally available, Azure Backup for SQL Server Virtual Machines (VMs), an enterprise scale, zero-infrastructure solution that eliminates the need to deploy and manage backup infrastructure while providing a simple and consistent experience to centrally manage and monitor the backups on standalone SQL instances and Always On Availability Groups. 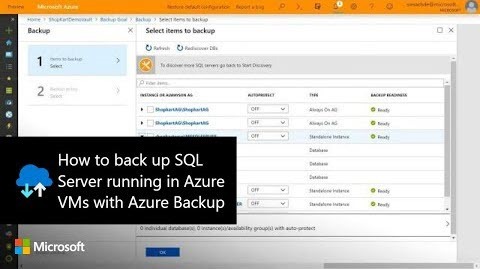 Built into Azure, the solution combines the core cloud promises of simplicity, scalability, security and cost effectiveness with inherent SQL backup capabilities that are leveraged by using native APIs, to yield high fidelity backups and restores. Announcing that Forrester has named Microsoft as a Leader in The Forrester Wave™: Big Data NoSQL for the first quarter of 2019 based on their evaluation of Azure Cosmos DB validating the exceptional market momentum and customer satisfaction. According to Forrester, “half of global data and analytics technology decision makers have either implemented or are implementing NoSQL platforms, taking advantage of the benefits of a flexible database that serves a broad range of use cases.” We are committed to making Azure Cosmos DB the best globally distributed database for all businesses and modern applications. 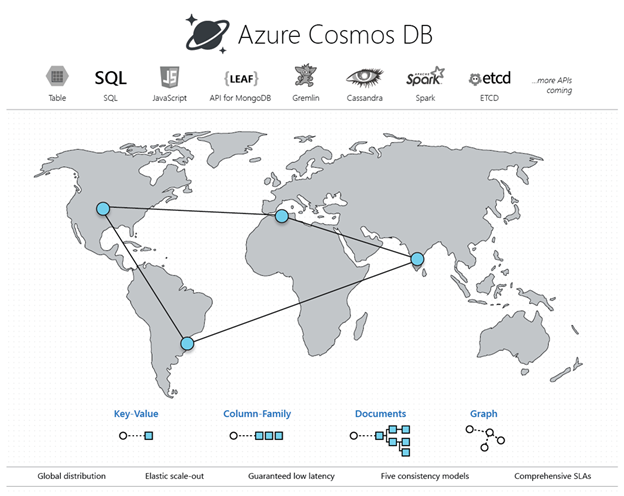 With Azure Cosmos DB, we believe that you will be able to write amazingly powerful, intelligent, modern apps and transform the world. Azure Monitor Availability Testing allows you to monitor the availability and responsiveness of any HTTP or HTTPS endpoint that is accessible from the public internet. At the end of this month we are deploying some major changes to improve performance and reliability, as well as to allow us to make more improvements for the future. This post highlights and describes some of the changes needed to ensure that your tests continue running without any interruption. Introducing the latest integration in Azure Data Factory. Azure Data Lake Storage Gen2 is a data lake platform that combines advanced data lake solutions with the economic, global scale, and enterprise grade security of Azure Blob Storage. Azure Data Explorer is a fully-managed data integration service to operationalize and manage the ETL/ELT flows with flexible control flow, rich monitoring, and continuous integration and continuous delivery (CI/CD) capabilities. You can now meet the advanced needs of your analytics workloads with unmatched price performance and the security of one of the best clouds for analytics. Over the years, Microsoft and NVIDIA have helped customers run demanding applications on GPUs in the cloud. Last week at NVIDIA GPU Technology Conference 2019 (GTC 2019) in San Jose, Microsoft made several announcements on our collaboration with NVIDIA to help developers and data scientists deliver innovation faster. Microsoft and NVIDIA are partnering on a new approach for intelligent video analytics at the edge to transform raw, high-bandwidth videos into lightweight telemetry. This delivers real-time performance and reduces compute costs for users. With this latest collaboration, NVIDIA DeepStream and Azure IoT Edge extend the AI-enhanced video analytics pipeline to where footage is captured, securely and at scale. Now, our customers can get the best of both worlds—accelerated video analytics at the edge with NVIDIA GPUs and secure connectivity and powerful device management with Azure IoT Edge and Azure IoT Hub. GPUs have become an indispensable tool for doing machine learning (ML) at scale. Our collaboration with NVIDIA marks another milestone in our venture to help developers and data scientists deliver innovation faster. We are committed to accelerating the productivity of all machine learning practitioners regardless of their choice of framework, tool, and application. Two of the integrations that Microsoft and NVIDIA have built together to unlock industry-leading GPU acceleration for more developers and data scientists are covered in the next two posts. Azure Machine Learning service is the first major cloud ML service to support NVIDIA’s RAPIDS, a suite of software libraries for accelerating traditional machine learning pipelines with NVIDIA GPUs. With RAPIDS on Azure Machine Learning service, users can accelerate the entire machine learning pipeline, including data processing, training and inferencing, with GPUs from the NC_v3, NC_v2, ND or ND_v2 families. Azure Machine Learning service users are able to use RAPIDS in the same way they currently use other machine learning frameworks, and can use RAPIDS in conjunction with Pandas, Scikit-learn, PyTorch, TensorFlow, etc. Announcing the open source the preview of the NVIDIA TensorRT execution provider in ONNX Runtime. Taking another step towards open and interoperable AI by enabling developers to easily leverage industry-leading GPU acceleration regardless of their choice of framework, developers can now tap into the power of TensorRT through ONNX Runtime to accelerate inferencing of ONNX models, which can be exported or converted from PyTorch, TensorFlow, and many other popular frameworks. Alert fatigue is real. Security analysts face a huge burden of triage as they not only have to sift through a sea of alerts, but to also correlate alerts from different products manually. 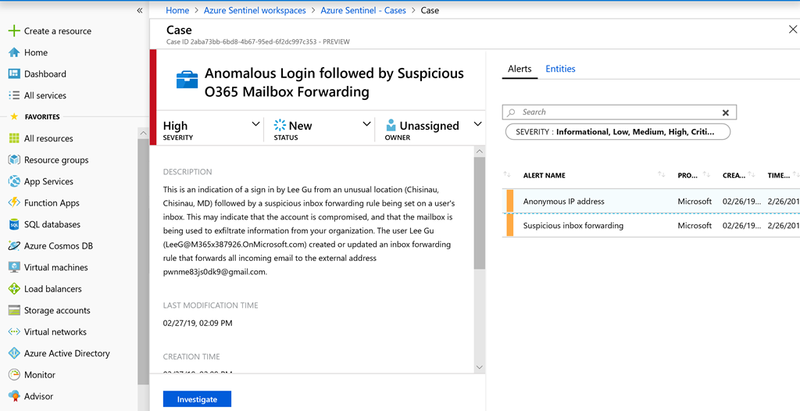 Machine learning (ML) in Azure Sentinel is built-in right from the beginning and focuses on reducing alert fatigue while offering ML toolkits tailored to the security community; including ML innovations aimed at making security analysts, security data scientists, and engineers productive. Data scientists are used to developing and training machine learning models for their favorite Python notebook or an integrated development environment (IDE). The app developer is focused on the application lifecycle – building, maintaining, and continuously updating the larger business application. As AI is infused into more business-critical applications, it is increasingly clear that we need to collaborate closely to build and deploy AI-powered applications more efficiently. Together, Azure Machine Learning and Azure DevOps enable data scientists and app developers to collaborate more efficiently while continuing to use the tools and languages that are already familiar and comfortable. In this comprehensive guide, Anthony Bartolo explains how to set up a prediction model using Azure Machine Learning Studio. The example comes from a real-life hackfest with Toyota Canada and predicts the pricing of vehicles. Aaron Powell covers using Azure Container Instances to run containers in a really simple approach in this handy introductory guide. It walks through a hello world demo and then some advanced scenarios on using ACR and connecting to Azure resources (such as a SQL server). This overview from Sonia Cuff discusses the new Dynamic Thresholds capability in Azure Monitor, where machine learning sets the alert threshold levels when you are monitoring metrics (e.g., CPU percentage use in a VM or HTTP request time in an application). In this third video and blog post of Frank Boucher’s CI/CD series, he creates a release Pipeline and explains how to deploy an ARM template to create or update Azure resources and deploy a static website into a blob storage. 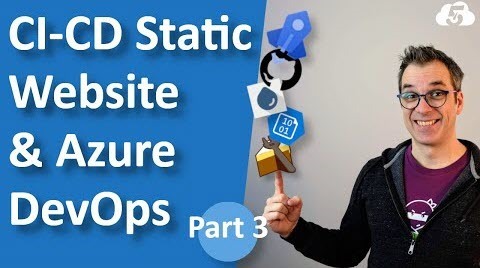 This series explains how to build a continuous integration and continuous deployment system using Azure DevOps Pipeline to deploy a Static Website into Azure Bob Storage. If you happen to run into an error after updating Azure Functions to the latest version, Maxime Rouille's hotfix is for you. He not only explains what to do, but why this might happen and what his hot fix does. You know you need to keep your app’s secrets safe and follow best practices - but how? In this post, Matt Soucoup uses a Xamarin app to walk through how and why to use Azure Key Vault, Active Directory, and Azure Functions to keep application secrets off of your mobile app and in Key Vault - without tons of extra work for you. There are a lot of articles showing how to use serverless functions for a variety of purposes. A lot of them cover how to get started, and they are very useful. But what do you do when you want to organize them a bit more as you do for your Node.js Express APIs? There's a lot to talk about on this topic, but in this post, John focuses specifically on one way you can organize your code. Long running queries may interfere with the overall database performance and likely get stuck on some background process, which means that from time to time you need to investigate if there are any queries running indefinitely on your databases. See how you can set up alerting on query performance-related metrics using Azure Functions and Azure Key Vault. We have improved device management workflow through additional jobs functionalities that make managing your devices at scale much easier. In this brief post, learn to copy an existing job, save a job to continue working on later, stop or resume a running job, and download a job details report once your job has completed running. Self-service is core to Infrastructure-as-a-Service (IaaS). Azure's IaaS gives the owner of the subscription everything they need to create virtual machines (VMs) and other resources on their own, without involving an administrator. 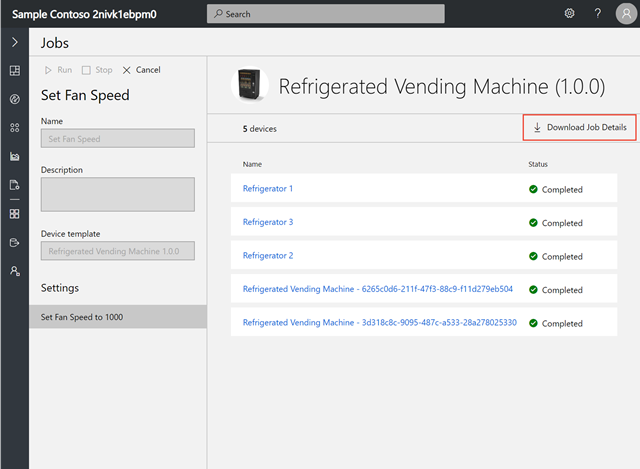 This post shows a few examples of Azure and Azure Stack self-service management of VMs. In this episode of One Dev Question, Alex Kipman discusses Microsoft Mixed Reality, featuring announcements from Mobile World Congress. Ricky Brundritt, PM in the Azure Maps team, walks us through data driven styling with Azure Maps. Data driven styling allows you to dynamically style layers at render time on the GPU using properties on your data. This provides huge performance benefits and allows large datasets to be rendered on the map. Data driven style expressions can greatly reduce the amount of code you would normally need to write and define this type of business logic using if-statements and monitoring map events. Corey Sanders and Evan Burness (Principal Program Manager on the Azure Compute team) sat down to talk about new things in the High Performance Computing space in Azure. Global Azure Bootcamp is a free, one-day, local event that takes place globally. It's an annual event run by the Azure community. This year, Global Azure Bootcamp is on Saturday, April 27, 2019. Event locations range from New Zealand to Hawaii and chances are good that you can find a location near you. You may even organize your own local event and receive sponsorship so long as you register by Friday, March 29, 2019. Join in to receive sponsorship, Azure passes, Azure for Students, lunch, and a set of content to use for the day. 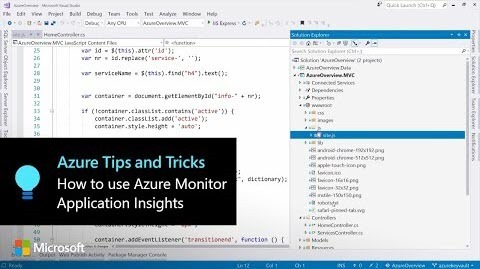 Learn how to use Azure Monitor Application Insights to make your application logging smarter with Custom Event Tracking. The Azure Portal enables you to get started quickly with Kubernetes and containers. 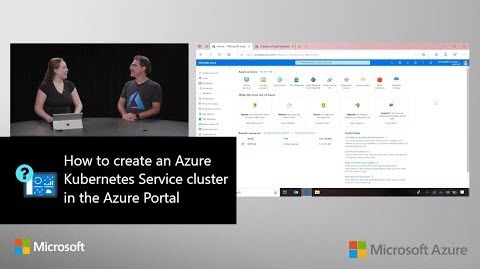 In this video, learn how to easily create an Azure Kubernetes Service cluster. Jeffrey Palermo and Phil Haack take a dive deep into DevOps at GitHub. They talk about Phil's role as Director of Engineering; how GitHub, as a company, grew while Phil worked there; the inner workings of how the GitHub website ran; and details about how various protocols, continuous integration, automated testing, and deployment worked at GitHub. 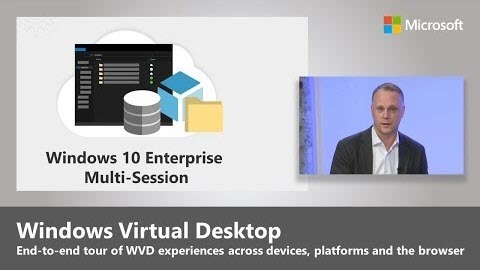 AzureABILITY host Louis Berman discusses ExpressRoute, networking and hybridity with Microsoft's Bryan Woodworth, who specializes in networking, connectivity, high availability, and routing for hybrid workloads in Azure. Cloud computing is increasingly important for today’s global gaming ecosystem, empowering developers of any size to reach gamers in any part of the world. In this wrap-up post from GDC 2019, learn how Azure and PlayFab are a powerful combination for game developers. Azure brings reliability, global scale, and enterprise-level security, while PlayFab provides Game Stack with managed game services, real-time analytics, and comprehensive LiveOps capabilities. Learn how you can apply insights from real-world use cases of IoT-enabled intelligent manufacturing when you attend the Manufacturing IoT webinar on March 28th: Go from Reaction to Prediction – IoT in Manufacturing. In addition, you'll learn how you can use IoT solutions to move from a reactive to predictive model. For additional hands-on, actionable insights around intelligent edge and intelligent cloud IoT solutions, join us on April 19th for the Houston Solution Builder Conference. Announcing a partnership with Timescale that introduces support for TimescaleDB on Azure Database for PostgreSQL for customers building IoT and time-series workloads. TimescaleDB allows you to scale for fast ingest and complex queries while natively supporting full SQL and has a proven track record of being deployed in production in a variety of industries including oil & gas, financial services, and manufacturing. The partnership reinforces our commitment to supporting the open-source community to provide our users with the most innovative technologies PostgreSQL has to offer. 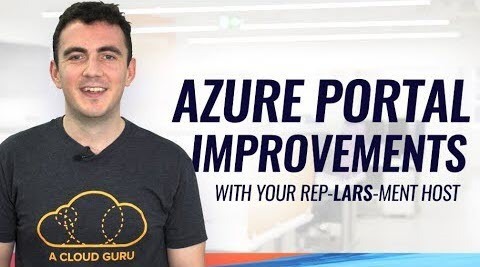 Lars is away this week and so Alex Mackey covers Azure Portal improvements, the Azure mobile app, Azure SQL Data Warehouse Workload Importance and Microsoft Game Stack.